This soothing popular blend relaxes the muscles, ligaments and tendons. Take a DEEP breath of Organic Tea Tree blend of multiple oils aromatherapy and relax as it cleanses your skin (and anything else you choose to disinfect)! This powerful tea tree mist invites you to immediately take a deep cleansing breath (Ujjayi Pranayama), you’ll feel your lungs/sinuses open. 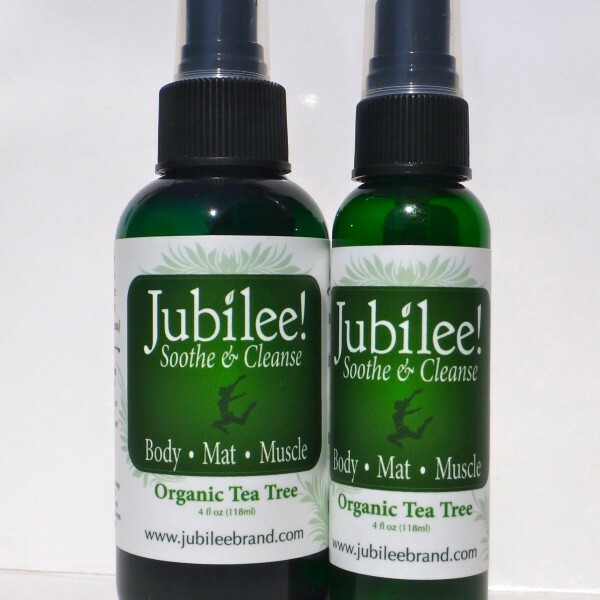 Jubilee Tea Tree blend of multiple essential oils is invigorating and elevates your spirits through it’s soothing relief. Yogis, Athletes, Chiropractors, swear by this product. We sell it in Spas, Healthcare Practitioners, Hotels, Yoga Studios, etc., choose this proprietary blend of Jubilee Organic products to freshen their patients, clients, their space and belongings. “It’s a therapeutic experience!” says Dr. Jay Warren at Warren Wellness in San Diego, Ca. “It feels as though it soothes the soul”, reports Cathy R. retired teacher in Eugene, Or. Uses: Jubilee Tea tree will relax the body, neutralize odor causing bacteria in the air, your shoes, car, linens, freshen hamper, etc. Jubilee! will deodorize a room and increase your vibration! Every spray is safe and gentle (just keep it away from the eyes). 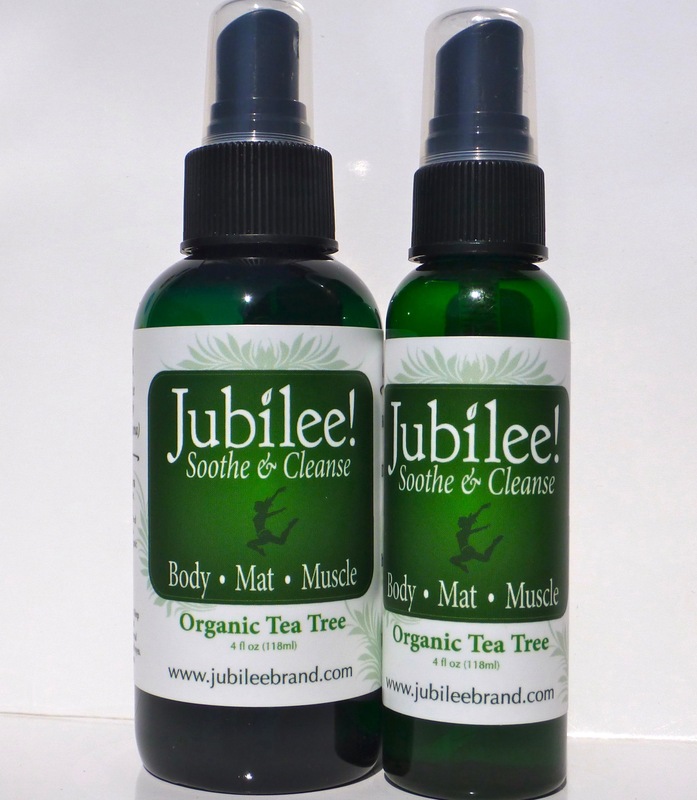 Jubilee Tea Tree is an organic, plant-based solution without the use of harsh Alcohol that damages and eats away at anything you spray. Mist your body, exercise equipment and bathroom.